March 10, 2015 by Ecommerce News. About Online store with tags Italy. 4247 views. 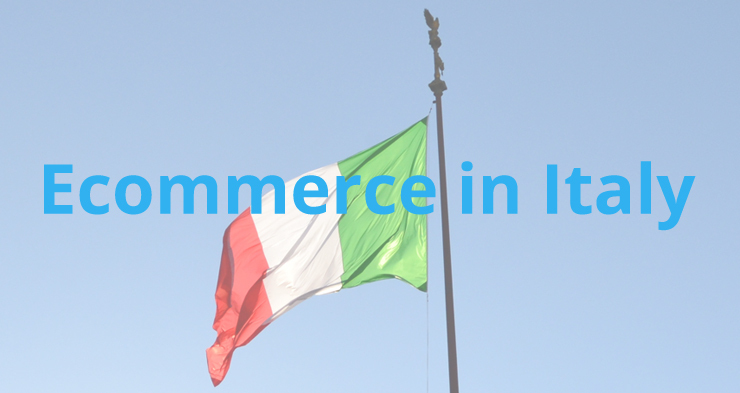 It’s not a secret Italy is lagging behind in terms of ecommerce, but data shows that only 5 out of 100 companies in Italy sell online. This is in stark contrast with the European average of 14% of companies selling online. The Italian newspaper La Repubblica wrote an article about the state of ecommerce in Italy and things don’t look that well. In Italy, 58% of the Internet users is between 16 and 74 years old, while the European average is 75%. In Europe’s biggest ecommerce markets – The United Kingdom, France and Germany – the percentages are even between 80 and 90 percent. And in Italy, half of the population has insufficient digital skills, while 27 percent has none at all. Meanwhile, broadband has almost a complete coverage across the country, while ultra-broadband (30Mbps) is only accessible to 21 percent of households, compared with the European average of 62%. And based on data from OECD, only 5 percent of small businesses, which account for 80% of employment in Italy, sell their products or services online. In Europe, the average share is 14%, so Italy is also clearly lagging behind with this. OECD looked at several indicators like connectivity, digital competence and online activities, and based on these 5 indicators, Italy ranks 25th. Only Greece, Romania and Bulgaria perform even worse. In the EU, investments for technological innovation on average represent 6.8 percent of the gross domestic product. In Italy, this percentage is 4.8 percent. The Italian newspaper claims innovation is needed. And innovation pays, it says. Italian companies that have invested in technology have grown harder in terms of turnover and employment than companies with low technology investments. And also, Italian companies that use the cloud have grown faster than those who didn’t. At the end, it comes down to employees and consumers in Italy who must be supported. Companies need an introduction to ultra-broadband Internet, while people need to get familiar with using the Internet. But things are changing. Confindustria Digitale will launch a “road show” in many Italian cities where they will promote innovation in small businesses, while Unioncamera is doing the same. And the Chambers of Commerce have launched a series of initiatives with partners such as Google to get young people in contact with companies.